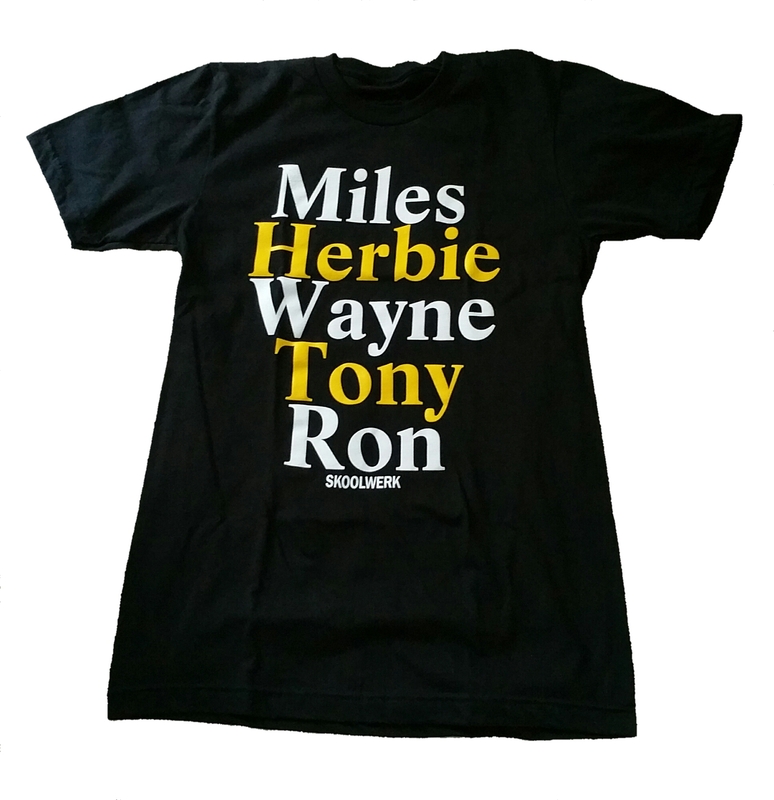 THE MILES QUINTET TEE AVAILABLE NOW! The Miles Quintet honors “The Second Great Miles Davis Quintet” (1964-68) consisting of Miles Davis (trumpet), Herbie Hancock (piano), Wayne Shorter (saxophone), Tony Williams (drums), Ron Carter (bass). The Quintet’s approach to improvisation came to be known “time no changes” or “freebop,” because they abandoned the more conventional chord-change-based approach of bebop for a modal approach. This entry was posted in Fashion, Music and Culture, Skoolwerk Tees and tagged Herbie Hancock, Jazz, Miles Davis, Miles Davis Second Great Quintet, Ron Carter, Skoolwerk Apparel, Skoolwerk Tee, Skoolwerk Tshirt, Tony Williams, Wayne Shorter. Bookmark the permalink.